Our most important job is to foster the development of each child in a way that complements the child’s own unique learning style and encourages a love of learning that will last a lifetime. Since 2008, our school has used a curriculum we developed called The Continuum. Recognizing that all children are somewhere along a continuum of skills acquisition, our teachers take cues from their students’ interests to provide a student-centered curriculum that is closely aligned to the Georgia Early Leaning Standards for Preschoolers. Our teachers identify the specific skills, from Toddlers to K-5’s, that students need to master during their years at our school. These skills follow national and state standards, are research-based, and, most importantly, are developmentally appropriate. Each age level has specific skills that are taught throughout the year. The teacher creates a lesson plan around those skills using a variety of approaches. In this way, an art project may actually be a language arts, math and science activity all rolled into one. We work on some skills every year. Some children need extra encouragement in some areas while others are ready to move forward— and we work hard to challenge and motivate each child no matter where they are along the continuum. We use a whole language approach to literacy based on phonemic awareness which is critical for early learners. We incorporate ZooPhonics, a multi-sensory language arts program, and Sitewords.com, a Phonemic Awareness program, into our literacy program. In addition, we use Handwriting without Tears to enhance developmentally appropriate fundamentals for our early writers. We practice center-based learning and math games for dynamic math instruction. Our students engage in early Math practices for one-to-one correspondence, sequencing, counting, estimating, measuring and so much more. In 2015, we added STEAM to our Curriculum. The concepts of Science, Technology, Engineering, Art & Math and reinforced through a variety of hands-on learning opportunities available to every age. Children have made their own snow and elephant toothpaste (chemical reactions), investigated magnets, explored nature, created “slime” (a polymer), talked about symmetry– and had a ball!! This addition has been overwhelmingly positively received by both students and parents alike! In 2018, we opened the Outdoor Classroom! We know that children who play outside are more physically active. We believe that nature-rich schoolyards create calm environments and that translates to other environments, such as the classroom. Studies have shown that that children who play regularly in natural environments have more advanced motor skills (e.g. agility, balance and coordination), higher Vitamin D levels, and are sick less often; children with ADHD experience significantly fewer symptoms after spending time in nature; and children are less likely to engage in bullying when they play in natural environments. Children who play outside engage in more imaginative games, interact more and get along better. 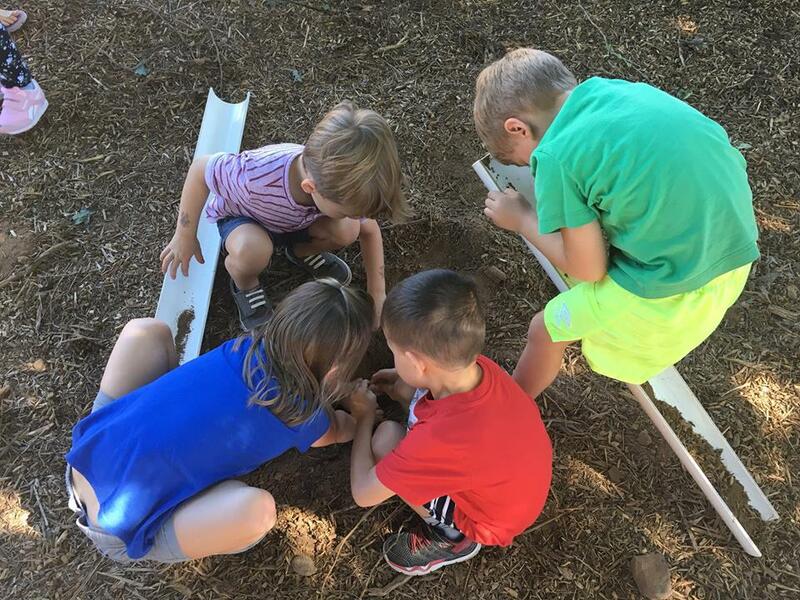 Other studies have shown that children whose schools offer outdoor classrooms and/or environmental education score higher on standardized tests. Still more show that children who are exposed to the natural world develop stronger awareness, reasoning and observation skills, and score higher on concentration and self-discipline tests. Certainly children who grow up having regular contact with the natural world are more likely to develop a lifelong love for nature and care to preserve it. We believe the benefits over the long run are substantial and we can't wait to begin using this amazing resource! Pre-K and K-5 students attend Spanish class each week. Research shows that learning a second language boosts problem-solving, critical thinking, and listening skills. In addition, language learning improves memory, concentration, and the ability to multitask. Music instruction focuses on singing fun songs, introduction to various instruments, rhythmic movement, as well as introduction to reading music. The children perform for parents twice a year in our Christmas and Spring programs. Our school meets as a community each week as we celebrate our faith with Bible stories, songs and praise with our Minister and Children’s Minister. Christian education is woven into all of our learning throughout our time at school. Children are evaluated both at the beginning of the year and the end of the year, and progress is reported on the skills appropriate for each age. In this way, parents can see the skills their child will be learning and how far along they are on the Continuum at the beginning of the year and understand the wonderful growth and progress experienced by the end of the year. In 2013, we began a partnership with the Adaptive Learning Center to assist children with challenges. The Adaptive Learning Center is changing the way children with challenges are viewed in their homes, classrooms, and the community at-large through their inclusion model. We believe inclusion benefits both the child and his peers in the classroom. The Adaptive Learning Center professionals help us through observation of preschool children who are at-risk for learning differences, they assist our staff with understanding red flags for child development, and they provide strategies for child engagement and inclusion in the classroom. They also provide support as parents try to navigate the myriad services a child might need. Finally, they work with specific families to provide in-class assistance through an additional instructor in the classroom. You can learn more about the Adaptive Learning Center from their website at www.alckids.org. Each year, we offer Speech, Language and Hearing Screenings through a trusted vendor. Screenings are available for a modest fee to all students enrolled in a 3 year old class or older and are performed here in the school. Results and recommendations are immediate. 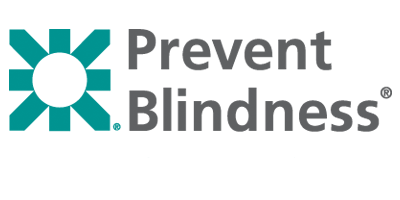 Each year, Prevent Blindness conducts free Vision testing for students enrolled in the 4’s classes. Results of the vision screening are used to assess whether a child needs to see an eye doctor. Children who need a full eye exam are referred to an eye doctor of the parent’s choice.